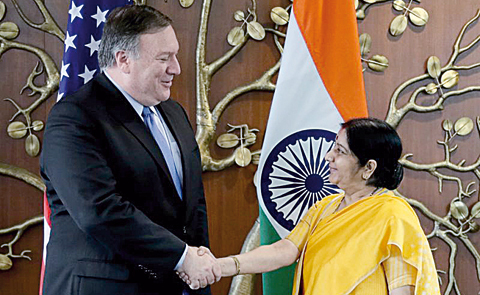 NEW DELHI: Washington will consider waivers for Iranian oil buyers such as India but they must eventually halt imports as sanctions are imposed on Tehran, US Secretary of State Mike Pompeo said yesterday. 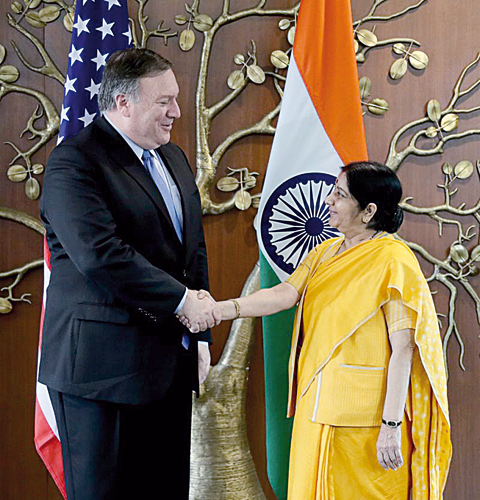 Pompeo, who is in Delhi with US Defense Secretary Jim Mattis for talks with their Indian counterparts, told reporters some buyers of Iranian oil would take a “a litle bit of time” to unwind their trade with Iran. The United States is pushing all countries to halt oil imports from Iran after President Donald Trump in May withdrew from a 2015 deal between Iran and six world powers and ordered a re-imposition of sanctions on the Islamic Republic. Some sanctions came in effect on Aug 6 and the rest, notably in the petroleum sector, will take hold on Nov 4. Trump has warned that anyone trading with Iran would not do business with the United States. “We will consider waivers where appropriate but that it is our expectation that the purchases of Iranian crude oil will go to zero from every country or sanctions will be imposed. So we’ll work with the Indians, we committed that we will do that,” Pompeo said. Despite Trump’s efforts, government officials in India, the world’s third-biggest oil importer and Iran’s top oil client after China, say that it would be difficult to fully halt supplies from Tehran. “Many countries are in a place where it takes a little bit of time to unwind and we’ll work with them I’m sure to find an outcome that makes sense,” Pompeo said, adding that the United States would be ‘happy’ if Iranian oil is replaced with American products. Nevertheless, India’s August oil imports from Iran plunged by a third as the state refiners waited for government permission to buy oil using Iranian tankers and cover. In a sign of New Delhi’s desire to keep buying Iranian oil, Reuters reported this week that India had allowed its state refiners to use Tehran’s tanker and insurance cover after western and Indian shippers started winding down their Iran operations ahead of the Nov 4 deadline.